This elegant and stylish half round contoured wedding band is made to order in your choice of precious metal. Designed to sit flush with your Three-Stone engagement ring this shadow band has a dramatic and glamorous look that will make her fall in love all over again. 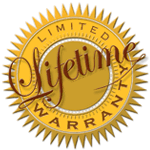 Agape Diamonds offers a Lifetime Warranty on all jewelry sold, against defects in manufacturing. If your jewelry ever needs repair or exchange due to a manufacturing defect, Agape Diamonds will repair or exchange the item Free of Charge. Learn More about Agape's Risk Free Shopping Policy. When returning your Jewelry for repair or exchange, please contact our customer service department at 1.800.861.5144 so we can assist you with your request. Although our Diamond Simulants are resistant to damage by heat or scratching, an extremely hard blow can cause them to chip. Please see our Jewelry Care Guide to learn how to avoid damaging your jewelry. Chipping can also occur when stress is placed on any gemstone during setting, un-setting or in a host of other manners. Please note that Agape Diamonds is not responsible for physical damage, loss or theft. In addition, any repair work performed by anyone other than Agape Diamonds will void any and all warranties. Please note that the Lifetime Warranty applies to the original purchaser and it is non-transferable. Jewelry like any other product requires maintenance and periodic review. We suggest that you have your Agape Diamond Jewelry thoroughly checked every 12 months to ensure the integrity of your setting. Please contact our customer service department at 1.800.861.5144 so we can assist you in completing a service request form to have your jewelry serviced. All our jewelry is packaged in beautiful presentation boxes. The boxes are exquisitely finished with coordinating texture papers with Ivory Satin Interiors and enclosed in a second outer box. All orders are shipped via USPS Priority Mail or FeDex Home Delivery with signature confirmation. Insurance is included FREE OF CHARGE! Overnight Shipping via FeDex Next Day Air is also available. Please select FeDex Next Day Air during checkout! NOTE: FeDex cannot deliver to a P.O Box or APO Addreess. Those orders will be shipped using USPS. International shipping rates to most countries are provided during checkout. Insurance is included FREE OF CHARGE! Please note that your country may impose customs and import duties or taxes that you must pay because your order originated outside of your home country. These fees are your responsibility and are separate from the cost you paid for your merchandise and shipping. If ordering from outside of the US or Canada, determine your ring size according to your country’s standard. Use the International Ring Size Chart to convert to the corresponding US ring size to place your order. Regarded as the Premier Simulated Diamonds in the world, our Diamond Simulants are carefully crafted to be nearly flawless and colorless in every way. They resemble the same optical characteristics, have the ability to cut glass and can be shaped into all the same styles as natural diamonds. 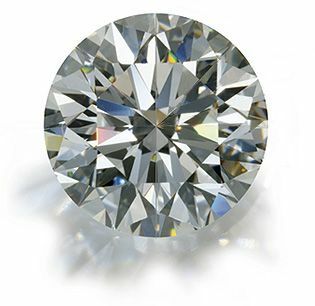 In most experts’ opinions, the Agape Simulated Diamond is a superior alternative to a natural diamond because for the same cut, clarity, color and carat of a natural diamond that would fetch tens of thousands of dollars, our simulated diamonds of VVS1 quality rating are a mere fraction of the cost. It is almost impossible to the naked eye to distinguish the Agape Simulated Diamond from a real natural diamond. Because they resemble the same optical characteristics, radiance and beauty as a natural stone even jewelers have a hard time telling the difference; and because they are not created from carbon, they don't have any imperfections or inclusions. We invite you to see for yourself why smart buyers have made Agape Simulated Diamonds their natural choice. See how Agape's Diamonds compare to Natural, CZ, & Moissanite Diamonds. EVERY AGAPE SIMULATED DIAMOND COMES WITH A LIFETIME GUARANTEE! Our simulated diamonds are guaranteed to last a lifetime or we will replace them free of charge! Please see our Return Policy Page & Lifetime Warranty Page for full details.